The LG G6 was built turn heads. It's a beautiful looking phone with its posh and classy looking design It's look like an expensive phone. It look much better than its predecessor in my opinion. It beautifully blends meta and glass together. The rear glass although quite fingerprint magnet, gives the phone it's luxurious looks and feel. This phone needs to compete against the upcoming Samsung Galaxy S8 and the iPhone 8, so it's better look gorgeous. The back of the phone is shiny, but it's not horrible as the mirror-like fingerprint magnet Sony Xperia XZ Premium. You don't have to make the phone all that reflective to get my attention, what LG did with its G6 is way more than enough. I also prefer having a glass back, because I just prefer the feeling of glass in the hands compared to the brushed metal one. The front isn't less attractive than the back. Of course most of the space at the front is occupied by a huge display. I really love the screen design: it has rounded edges and it takes almost the entire vertical and horizontal space. The bezels are very slim, but not too slim for you to accidentally tap an icon that launches an app that you haven't intended to launch. The narrow design fits nicely in the hands. I have to admit that once you put your hands on the G6, it's hard to let go. It was designed to be incredibly comfortable. 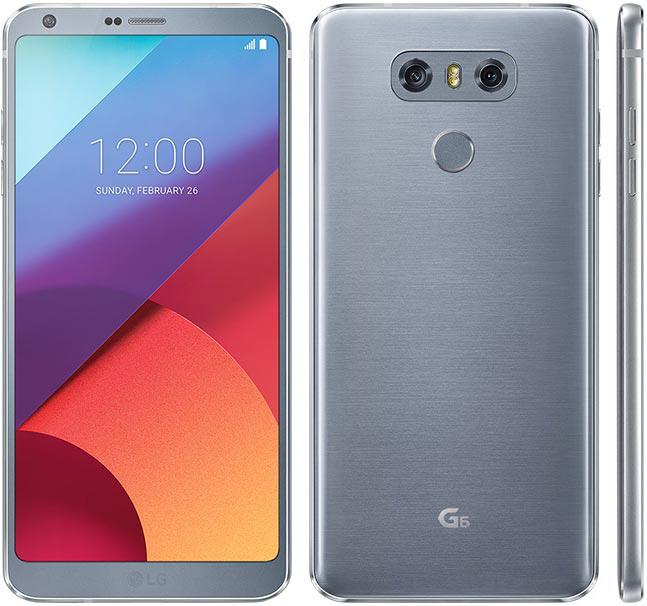 One you hold another phone with a screen with a different aspect ratio, you'll start appreciating the G6 design. Even with its prestigious design touches, the LG G6 design is quite simplistic. It's look like a prince among all the other high-end smartphones. It's doesn't have the same sophisticated look as the Galaxy S7 edge nor has it got the edge-to-edge display as the Xiaomi Mi Mix. Still, the designs is somewhere in the middle, and that middle is just stunning to look at and very comfortable to hols.